The present invention relates to a solid laundry detergent composition comprising multiple catalysts and water-soluble electrolyte, wherein the ratio of (i) the total reduction in activation energy in kilojoules per mole achieved by the catalysts to (ii) the electrolytic strength of the laundry detergent composition at a concentration of 1g/l in de-ionized water and at a temperature of 25oC in mScm-1 laundry detergent composition is at least 300. The solid laundry detergent compositions of the present invention are highly catalytic, and comprise relatively low levels of water-soluble electrolytes. These solid detergent compositions exhibit excellent cleaning performance, show improved catalytic deposition on the fabric, and also show improved rinsing profiles. The solid detergent compositions also have extremely good environmental profiles. In addition, recent trends in improving the environmental and sustainability profile of the laundering process have reduced the amount of water being used during the laundering process. For example, consumer demand is increasing for automatic washing machines that use less water, use less rinsing steps, and have improved environmental profiles. Catalytic laundry detergent compositions are known, such as WO2004/074419, which alleges that enzymes can be used to partly or fully replace detergent components such as surfactants, builders, polymers and bleaches and still provide superior cleaning. It is also of course common general knowledge that catalysts lower the activation energy of the reactions they catalyse. However, there is very little understanding about the activation energy reduction achieved by catalysts in a laundry detergent context, and there is little understanding or appreciation about how one must control the catalytic capability of a laundry detergent composition relative to other ingredients present in the detergent matrix. Turning back to the trends of lower water usage during the laundering process, it becomes even more critical that the catalytic capability of a solid laundry detergent composition is understood and controlled. For example, smaller wash liquors mean higher concentration of active laundry detergent ingredients in the wash, which in turn means increased competition for fabric surface deposition. In addition, less water during the rinsing steps, and fewer rinsing steps, places greater stress on rinsing these laundry detergent ingredients from the fabric during the rinsing stage of the laundering process. The inventors have found that controlling the catalytic capability of the solid laundry detergent composition relative to the electrolytic strength of the laundry detergent composition leads to improved fabric surface deposition of the catalysts, and an improved rinsing profile of the laundry detergent composition. The inventors have found that reducing the electrolytic strength of the solid laundry detergent composition relative to the increasing its catalytic capability provides a solid laundry detergent composition having improved cleaning performance and improved rinsing profile. The present invention relates to a solid laundry detergent composition defined by claim 1. The solid laundry detergent composition comprises multiple catalysts (i.e. more than one), preferably at least three, or at least four, or at least five, or at least six, or at least seven, or at least eight, or at least nine, or at least ten, or at least eleven, or even at least twelve catalysts. The catalysts are defined in more detail below. The catalytic capability of the solid laundry detergent composition is controlled relative to the electrolytic strength of the laundry detergent composition such that the ratio of (i) the total reduction in activation energy in kilojoules per mole achieved by the catalysts to (ii) the electrolytic strength of the laundry detergent composition at a concentration of lg/1 in de-ionized water and at a temperature of 25°C in mScm"1 laundry detergent composition is at least 30, preferably at least 40, or at least 50, or at least 60, or at least 70, or at least 80, or at least 90, or at least 100, or at least 120, or at leastl40, or at least 160, or at least 180, or even at least 200. The methods for determining the reduction in activation energy achieved by the catalysts, and the electrolytic strength of the laundry detergent composition are described in more detail below. The composition can be in any suitable solid form, such as free-flowing particulate form, or unit dose form including pouch, tablet, sheet, or any combination thereof. Preferred forms include detergent sheets, detergent pouches including single and multi-compartment pouches, detergent powders including agglomerates, spray-dried powder, prills, extrudates, flakes, noodles, needles and any combination thereof. Preferably, the composition is in free-flowing particulate form, for example such that the composition is in the form of separate discrete particles. The composition is a fully finished laundry detergent composition. Typically, if the composition is in free-flowing particulate form, the composition comprises a plurality of chemically different particles populations. The composition is not just a component of a laundry detergent composition that can be incorporated into a laundry detergent composition (such as an enzyme prill, or a surfactant particle, or a bleach particle), it is a fully finished laundry detergent composition. That said, it is within the scope of the present invention for an additional rinse additive composition (e.g. fabric conditioner or enhancer), or a main wash additive composition (e.g. bleach additive) to also be used in combination with the laundry detergent composition during the method of the present invention. Although, it may be preferred for no bleach additive composition is used in combination with the laundry detergent composition during the method of the present invention. It is highly preferred to reduce the electrolytic strength of the laundry detergent composition, however care must be taken that the electrolytes one removes from, or reduces the level of in, the composition do not significantly impair the performance of the composition. It is highly preferred to remove electrolytes such as sodium sulphate and/or sodium chloride compared to removing ionic surfactant electrolytes. However, if the electrolytic strength of the composition needs to be reduced further, then the level of ionic surfactants can of course be lowered, or the ionic surfactants can be removed from the formulation. Preferably, the composition comprises from Owt% to 10wt%, preferably to 8wt%, or to 6wt% or to 2wt% sodium sulphate. The composition may even be substantially free of sodium sulphate. Substantially free means comprises no deliberately added, however, substantially free for the purpose of the present invention, does still allow for the trace amounts of sodium sulphate that are typically present in enzyme prills to be incorporated when the enzyme prill is deliberately added to the composition. Preferably, the composition comprises from Owt% to 10wt%, preferably to 8wt%, or to 6wt% or to 2wt% sodium chloride. The composition may even be substantially free of sodium chloride. Substantially free means comprises no deliberately added. The composition may comprise from Owt% to 10wt% sodium carbonate, or even from Owt% to 8wt%, or even from Owt% to 6wt% sodium carbonate. The solid laundry detergent composition comprises multiple catalysts (i.e. more than one), preferably at least three, or at least four, or at least five, or at least six, or at least seven, or at least eight, or at least nine, or at least ten, or at least eleven, or even at least twelve catalysts. For the purpose of the present invention, a mixture of enzymes that act on substantially the same substrate type are considered to be one catalyst. For example, two different peptidases (proteases) present in a laundry detergent composition are, for the purpose of the present invention, considered to be single catalyst. When determining the reduction in activation energy achieved by a catalyst that is a mixture of two enzymes that act on substantially the same substrate type, only one Arrhenius plot against that substrate type is used to determine the activation energy reduction, not two. For example, if one has a laundry detergent composition comprising protease A and protease B, then only one Arrhenius plot against a protein substrate is used to determine the activation energy reduction, not two. For the purpose of the present invention, the activation energy of an uncatalysed detergent reaction is considered to be 5OkJmOl"1. Following on with this example then, if the activation energy against the protein substrate for the composition comprising protease A and protease B is 2OkJmOl"1, then the reduction in activation energy achieved by the protease present in this composition is considered to be 3OkJmOl"1 total (i.e. 5OkJmOl"1 - 2OkJmOl"1 = 3OkJmOl"1); and not 3OkJmOl"1 for protease A and another 3OkJmOl"1 for protease B (i.e. δOkjmol"1 is incorrect). Preferably, the catalysts reduce the activation energy by a total of at least lOOkjmol"1, preferably at least 12OkJmOl"1, preferably at least 14OkJmOl"1, preferably at least lδOkjmol"1, preferably at least 18OkJmOl"1, preferably at least 20OkJmOl"1, preferably at least 22OkJmOl"1, preferably at least 24OkJmOl"1, preferably at least 26OkJmOl"1, preferably at least 28OkJmOl"1, preferably at least 30OkJmOl"1, preferably at least 32OkJmOl"1, preferably at least 34OkJmOl"1, preferably at least 36OkJmOl"1 , preferably at least 38OkJmOl"1 , preferably at least 40OkJmOl"1. This is the sum of the reduction in activation energy achieved by each catalyst. The method to determine the reduction in activation energy is described in more detail below. Any enzyme can be a suitable catalyst. Preferred suitable catalysts are selected hemicellulases, peroxidases, proteases, xylanases, lipases, phospholipases, esterases, cutinases, pectinases, mannanases, pectate lyases, keratinases, reductases, oxidases, mono-oxygenase, di- oxygenase, carbohydrate oxidase, peroxidase, perhydrolase, choline oxidase, phenoloxidases, lipoxygenases, ligninases, pullulanases, tannases, pentosanases, malanases, β-glucanases, arabinosidases, hyaluronidase, chondroitinase, laccase, oxidoreductases, dehydrogenases, xyloglucanases, amylases, cellulases, and mixtures thereof. Other suitable catalysts include nonenzyme catalysts such as transition metal bleach catalyst, imine bleach catalyst and mixtures thereof. Mixtures of enzyme and non-enzyme catalysts are also preferred. Examples of suitable oxidoreductases categorized as E.C. 1.1.3.x are glucose oxidase, aryl-alcohol oxidase and galactose oxidase. A suitable glucose oxidase is OxyGo® 1500 (Danisco). An example of a suitable oxidoreductase acting on peroxide as acceptor is Guardzyme® (Novozymes). Lipases have E.C. classification 3.1.1.3, as defined by EC classification, IUP AC-IUB MB. Suitable lipases include both wild-types and genetically modified variants thereof possessing at least about 90%, at least about 95%, at least about 98%, or at least about 99%, or 100% identity with said lipase. In one aspect, the lipase is a variant of the wild- type lipase from Thermomyces lanuginosus comprising the T231R and N233R mutations. The wild-type sequence is the 269 amino acids (amino acids 23 - 291) of the Swissprot accession number Swiss-Prot 059952 (derived from Thermomyces lanuginosus (Humicola lanuginosa)). Suitable commercially available lipases include Lipolase®, Lipolase Ultra®, Lipex® and Lipolex®, all available from Novozymes A/S. Suitable ferulic acid etserases are derived from Aspergillus awamori, Aspergillus tubingensis, Aspergillus niger, Talaromyces stipatus, Piromyces equi cellvibrio japonicus, Talaromyces stipatus and Clostridium Japonicus. Further suitable ferulic acid esterases are disclosed in Acta Biochimica et Biophysica Sinica, 2007, 39(11):811- 828, which is incorporated herein by reference. Suitable cutinases as defined by E.C. Class 3.1.1.74. may have at least about 90% or about 95%, or about 98% identity with a wild-type from one of Fusarium solani, Pseudomonas Mendocina or Humicola Insolens. (a) the variants described in WO 94/02597, WO 94/18314, WO96/23874 and WO 97/43424, especially the variants with substitutions in one or more of the following positions versus the enzyme listed as SEQ ID No. 2 in WO 96/23874: 15, 23, 105, 106, 124, 128, 133, 154, 156, 181 , 188, 190, 197, 202, 208, 209, 243, 264, 304, 305, 391, 408, and 444. 26, 30, 33, 82, 37, 106, 118, 128, 133, 149, 150, 160, 178, 182, 186, 193, 203, 214, 231, 256, 257, 258, 269, 270, 272, 283, 295, 296, 298, 299, 303, 304, 305, 311, 314, 315, 318, 319, 339, 345, 361, 378, 383, 419, 421, 437, 441, 444, 445, 446, 447, 450, 461, 471, 482, 484, preferably that also contain the deletions of D183* and G184*. (c) variants exhibiting at least 90% identity with SEQ ID No. 4 in WO06/002643, the wild-type enzyme from Bacillus SP722, especially variants with deletions in the 183 and 184 positions and variants described in WO 00/60060, which is incorporated herein by reference. Suitable commercially available alpha-amylases are DURAMYL®, LIQUEZYME® TERMAMYL®, TERMAMYL ULTRA®, NATALASE®, SUPRAMYL®, STAINZYME®, STAINZYME PLUS®, FUNGAMYL® and BAN® (Novozymes A/S), BIOAMYLASE - D(G), BIOAMYLASE® L (Biocon India Ltd.), KEMZYM® AT 9000 (Biozym Ges. m.b.H, Austria), RAPIDASE®, PURASTAR®, OPTISIZE HT PLUS® and PURASTAR OXAM® (Genencor International Inc.) and KAM® (KAO, Japan). In one aspect, preferred amylases are NATALASE®, STAINZYME® and STAINZYME PLUS®. Suitable cellulases include cellulases from the genera Bacillus, Pseudomonas, Humicola, Fusarium, Thielavia, Acremonium, e.g. the fungal cellulases produced from Humicola insolens, Myceliophthora thermophila, Fusarium oxysporum disclosed in US 4,435,3077, US 5,648,263, US 5,691,178, US 5,776,757 and WO 89/09259. Other suitable cellulases are the alkaline or neutral cellulases having colour care benefits. Examples of such cellulases are cellulases described in EP 0 495 257, EP 0 531 372, WO 96/1 1262, WO 96/29397, WO 98/08940. Other examples are cellulase variants such as those described in WO 94/07998, EP 0 531 315, US 5,457,046, US 5,686,593, US 5,763,254, WO 95/24471 , WO 98/12307 and WO 99/01544, and WO 01/062903. Biotouch® and Ecostone® brand names (AB Enzymes). Particularly suitable cellulases are variants of the Family 44 cellulase showing xyloglucanase activity disclosed in WO 2001/062903 (Novozymes). 14. Enzymes from E.C. 3.2.1.20 (α-glucosidase). 15. Enzymes from E.C. 3.2.1.25 (β-mannosidase) and E.C. 3.2.1.78 (mannan endo-l,4-β- mannosidase) Suitable mannan endo-l,4-β-mannosidases are described in WO 99/09126, WO99/64573 and WO99/09128. Preferred mannanases are sol under the tradenames Mannaway® (Novozymes A/S) and Purabrite® (Genencor International). 16. Enzymes from E.C. 3.2.1.151 (xyloglucan-specific endo-β-l,4-glucanase). 17. Enzymes from E.C. 3.2.1.155 (xyloglucan-specific exo-β-l,4-glucanase). 18. Enzymes from E.C. 3.4.x.x (peptidases). (a) subtilisins (EC 3.4.21.62), especially those derived from Bacillus, such as Bacillus lentus, B. alkalophilus, B. subtilis, B. amyloliquefaciens, Bacillus pumilus and Bacillus gibsonii, and Cellumonas described in US 6,312,936 Bl, US 5,679,630, US 4,760,025, US5,030,378, WO 05/052146, DEA6022216A1 and DEA 6022224A1. (b) trypsin-like proteases are trypsin (e.g., of porcine or bovine origin) and the Fusarium protease described in WO 89/06270. (c) metalloproteases, especially those derived from Bacillus amyloliquefaciens decribed in WO 07/044993A2. Preferred proteases are those derived from the BPN' and Carlsberg families, especially the subtilisin BPN' protease derived from Bacillus amyloliquefaciens. In one aspect, the protease is a variant of the subtilisin BPN' wild-type enzyme dervied from Bacillus amyloliquefaciens that contains the Y217L mutation. The subtilisin BPN' wild-type enzyme sequence is the 275 amino acids (amino acids 108-382) of the Swissprot accession no. P00782 (derived from Bacillus amyloliquefaciens). Preferred commercially available protease enzymes include those sold under the trade names Alcalase®, Savinase®, Primase®, Durazym®, Polarzyme®, Kannase®, Liquanase®, Ovozyme®, Neutrase®, Everlase® and Esperase® by Novozymes A/S (Denmark), those sold under the tradename Maxatase®, Maxacal®, Maxapem®, Properase®, Purafect®, Purafect Prime®, Purafect Ox®, FN3® , FN4®, Excellase® and Purafect OXP® by Genencor International, and those sold under the tradename Opticlean® and Optimase® by Solvay Enzymes. In one aspect the enzyme may comprise a pectate lyase. Suitable pectate lyases are described in WO 00/42151 and WO 00/42147. Preferred pectate lyases are sold under the tradenames Pectawash® and Pectaway® by Novozymes A/S. Transition metal bleach catalysts are suitable catalysts. The transition metal bleach catalyst typically comprises a transition metal ion, preferably selected from transition metal selected from the group consisting of Mn(II), Mn(III), Mn(IV), Mn(V), Fe(II), Fe(III), Fe(IV), Co(I), Co(II), Co(III), Ni(I), Ni(II), Ni(III), Cu(I), Cu(II), Cu(III), Cr(II), Cr(III), Cr(IV), Cr(V), Cr(VI), V(III), V(IV), V(V), Mo(IV), Mo(V), Mo(VI), W(IV), W(V), W(VI), Pd(II), Ru(II), Ru(III), and Ru(IV), more preferably Mn(II), Mn(III), Mn(IV), Fe(II), Fe(III), Cr(II), Cr(III), Cr(IV), Cr(V), and Cr(VI). macropolycyclic ligand, more preferably a cross-bridged macropolycyclic ligand. The transition metal ion is preferably coordinated with the ligand. Preferably, the ligand comprises at least four donor atoms, at least two of which are bridgehead donor atoms. phosphonates, organic sulfates, organic sulfonates, and aromatic N donors such as pyridines, pyrazines, pyrazoles, imidazoles, benzimidazoles, pyrimidines, triazoles and thiazoles with R being H, optionally substituted alkyl, optionally substituted aryl. PO4 , organic phosphates, organic phosphonates, organic sulfates, organic sulfonates, and aromatic N donors such as pyridines, pyrazines, pyrazoles, imidazoles, benzimidazoles, pyrimidines, triazoles and thiazoles with R being H, optionally substituted alkyl, optionally substituted aryl (specific examples of monodentate ligands including phenolate, acetate or the like). (CRn)J5 moieties covalently bonded from any D to the B atom is absent as long as at least two (CRn)b covalently bond two of the D donor atoms to the B atom in the formula, and the sum of all "b" is within the range of from about 1 to about 5. - each "a" is an integer independently selected from 2 and 3. Trifluoromethanesulfonate; Chloro-5,12,17-trimethyl-l,5,8,12,17-pentaazabicyclo[6.6.5]nonadecane Manganese(II) Hexafluorophosphate; Chloro-4,10,15-trimethyl-l, 4,7, 10,15- pentaazabicyclo[5.5.5]heptadecane Manganese(II) Hexafluorophosphate; Chloro-5,12,17-trimethyl- 1,5,8, 12, 17-pentaazabicyclo[6.6.5]nonadecane Manganese(II) Chloride; Chloro-4,10,15-trimethyl- l,4,7,10,15-pentaazabicyclo[5.5.5]heptadecane Manganese(II) Chloride; Dichloro-5, 12-diethyl- 1,5,8, ^-tetraazabicyclofό.δ^Jhexadecanemanganese; dichloro-4, 11 diethyl- 1,4,8, 11 tetraazabicyclo (6.6.2) hexadecane manganese (II); and any mixture thereof. Other suitable transition metal bleach catalysts are described in U.S. 5,580,485, U.S.
4,430,243; U.S. 4,728,455; U.S. 5,246,621; U.S. 5,244,594; U.S. 5,284,944; U.S. 5,194,416; U.S. 5,246,612; U.S. 5,256,779; U.S. 5,280,117; U.S. 5,274,147; U.S. 5,153,161; U.S. 5,227,084; U.S. 5,114,606; U.S. 5,114,611, EP 549,271 Al; EP 544,490 Al; EP 549,272 Al; and EP 544,440 A2. A suitable transition metal bleach catalyst is a manganese-based catalyst, for example disclosed in U.S. 5,576,282. Suitable cobalt bleach catalysts are described, for example, in U.S. 5,597,936 andU.S. 5,595,967. Such cobalt catalysts are readily prepared by known procedures, such as taught for example in U.S. 5,597,936, and U.S. 5,595,967. Imine bleach catalysts are suitable catalysts. Suitable imine bleach catalysts include, but are not limited to: iminium cations and polyions; iminium zwitterions; N-sulphonyl imines; N- phosphonyl imines; N-acyl imines; perfluoroimines; and mixtures thereof. 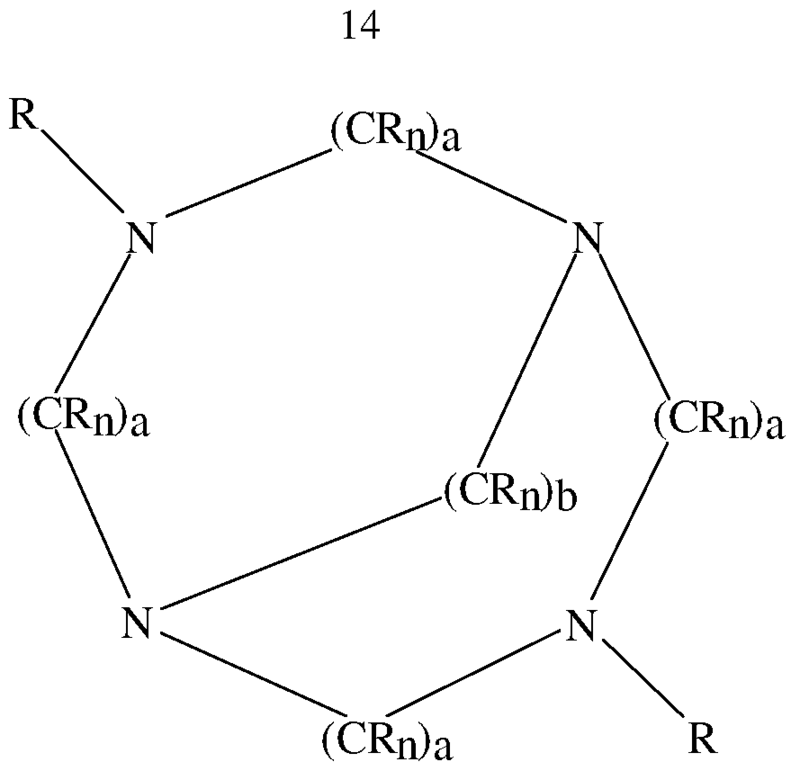 Suitable iminium cations and polyions include, but are not limited to, N-methyl-3,4- dihydroisoquinolinium tetrafluoroborate, prepared as described in Tetrahedron (1992), 49(2), 423-38 (see, for example, compound 4, p. 433); N-methyl-3,4-dihydroisoquinolinium p-toluene sulphonate, prepared as described in U.S. Pat. 5,360,569 (see, for example, Column 11, Example 1); and N-octyl-3,4-dihydroisoquinolinium p-toluene sulphonate, prepared as described in U.S. Pat. 5,360,568 (see, for example, Column 10, Example 3). Suitable iminium zwitterions include, but are not limited to, N-(3-sulfopropyl)-3,4- dihydroisoquinolinium, inner salt, prepared as described in U.S. Pat. 5,576,282 (see, for example, Column 31, Example II); N-[2-(sulphooxy)dodecyl]-3,4-dihydroisoquinolinium, inner salt, prepared as described in U.S. Pat. 5,817,614 (see, for example, Column 32, Example V); 2-[3- [(2-ethylhexyl)oxy]-2-(sulphooxy)propyl]-3,4-dihydroisoquinolinium, inner salt, prepared as described in WO05/047264 (see, for example, page 18, Example 8), and 2- [3 -[(2- butyloctyl)oxy]-2-(sulphooxy)propyl]-3,4-dihydroisoquinolinium, inner salt. Suitable N-sulphonyl imine oxygen transfer catalysts include, but are not limited to, 3- methyl-l,2-benzisothiazole 1,1 -dioxide, prepared according to the procedure described in the Journal of Organic Chemistry (1990), 55(4), 1254-61. Suitable N-phosphonyl imine oxygen transfer catalysts include, but are not limited to, [R- (E)]-N-[(2-chloro-5-nitrophenyl)methylene]-P-phenyl-P-(2,4,6-trimethylphenyl)- phosphinic amide, which can be made according to the procedures described in the Journal of the Chemical Society, Chemical Communications (1994), (22), 2569-70. Suitable N-acyl imine oxygen transfer catalysts include, but are not limited to, [N(E)J-N- (phenylmethylene)acetamide, which can be made according to the procedures described in Polish Journal of Chemistry (2003), 77(5), 577-590. Suitable perfluoroimine oxygen transfer catalysts include, but are not limited to, (Z)- 2,2,3,3,4,4,4-heptafluoro-N-(nonafluorobutyl)butanimidoyl fluoride, which can be made according to the procedures described in Tetrahedron Letters (1994), 35(34), 6329-30. Suitable cyclic sugar ketone oxygen transfer catalysts include, but are not limited to, l,2:4,5-di-O-isopropylidene-D-erythro-2,3-hexodiuro-2,6-pyranose as prepared in U.S. Pat. 6,649,085 (Column 12, Example 1). Preferably, the imine bleach catalyst comprises an iminium and/or carbonyl functional group and is typically capable of forming an oxaziridinium and/or dioxirane functional group upon acceptance of an oxygen atom, especially upon acceptance of an oxygen atom from a peroxyacid and/or salt thereof. 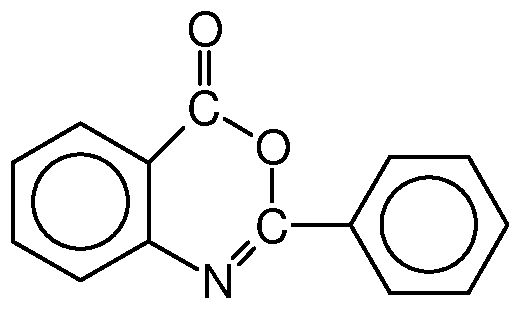 Preferably, the imine bleach catalyst comprises an oxaziridinium functional group and/or is capable of forming an oxaziridinium functional group upon acceptance of an oxygen atom, especially upon acceptance of an oxygen atom from a peroxyacid and/or salt thereof. Preferably, the imine bleach catalyst comprises a cyclic iminium functional group, preferably wherein the cyclic moiety has a ring size of from five to eight atoms (including the nitrogen atom), preferably six atoms. Preferably, the imine bleach catalyst comprises an aryliminium functional group, preferably a bi-cyclic aryliminium functional group, preferably a 3,4-dihydroisoquinolinium functional group. Typically, the imine functional group is a quaternary imine functional group and is typically capable of forming a quaternary oxaziridinium functional group upon acceptance of an oxygen atom, especially upon acceptance of an oxygen atom from a peroxyacid and/or salt thereof. 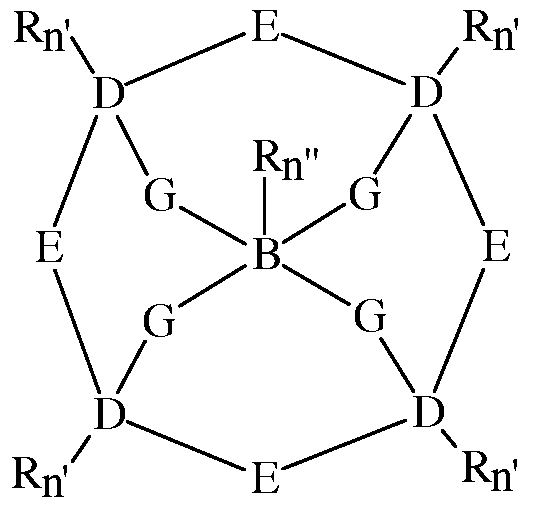 N-H, or N-R ; and each R is independently selected from the group consisting of alkyl, aryl and heteroaryl, said moieties being substituted or unsubstituted, and whether substituted or unsubsituted said moieties having less than 21 carbons; each G is independently selected from the group consisting of CO, SO2, SO, PO and PO2; R9 and R10 are independently selected from the group consisting of H and Ci-C4 alkyl; R11 and R12 are independently selected from the group consisting of H and alkyl, or when taken together may join to form a carbonyl; b = O or 1 ; c can = O or 1, but c must = O if b = O; y is an integer from 1 to 6; k is an integer from O to 20; R6 is H, or an alkyl, aryl or heteroaryl moiety; said moieties being substituted or unsubstituted; and X, if present, is a suitable charge balancing counterion, preferably X is present when R4 is hydrogen, suitable X, include but are not limited to: chloride, bromide, sulphate, methosulphate, sulphonate, p-toluenesulphonate, borontetraflouride and phosphate. 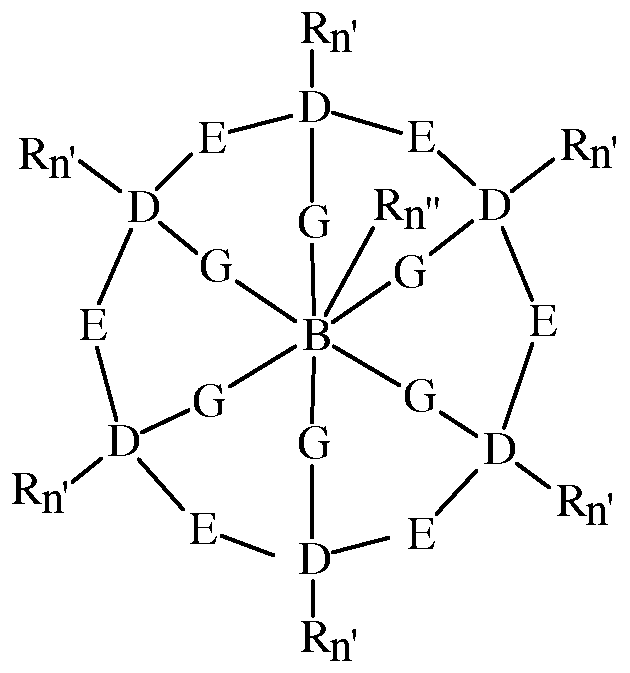 wherein R13 is a branched alkyl group containing from three to 24 carbon atoms (including the branching carbon atoms) or a linear alkyl group containing from one to 24 carbon atoms; preferably R13 is a branched alkyl group containing from eight to 18 carbon atoms or linear alkyl group containing from eight to eighteen carbon atoms; preferably R13 is selected from the group consisting of 2-ethylhexyl, 2-propylheptyl, 2-butyloctyl, 2-pentylnonyl, 2-hexyldecyl, n-dodecyl, n-tetradecyl, n-hexadecyl, n-octadecyl, iso-nonyl, iso-decyl, iso-tridecyl and iso-pentadecyl; preferably R13 is selected from the group consisting of 2-butyloctyl, 2-pentylnonyl, 2- hexyldecyl, iso-tridecyl and iso-pentadecyl. In another embodiment of the present invention, the imine bleach catalyst has a structure corresponding to general formula below or mixtures thereof. wherein: G is selected from -O-, -CH2O-, -(CH2)2-, and -CH2-. R1 is selected from H or Ci-C4 alkyl. Suitable Ci-C4 alkyl moieties include, but are not limited to methyl, ethyl, iso-propyl, and tert-butyl. Each R is independently selected from C4-Cg alkyl, benzyl, 2-methylbenzyl, 3- methylbenzyl, 4-methylbenzyl, 4-ethylbenzyl, 4-iso-propylbenzyl and 4-tert-butylbenzyl. Suitable C4-Cg alkyl moieties include, but are not limited to n-butyl, n-pentyl, cyclopentyl, n- hexyl, cyclohexyl, cyclohexylmethyl, n-heptyl and octyl. In one aspect of the invention G is selected from -O- and -CH2-. R1 is selected from H, methyl, ethyl, iso-propyl, and tert-butyl. Each R2 is independently selected from C4-C6 alkyl, benzyl, 2-methylbenzyl, 3-methylbenzyl, and 4-methylbenzyl. 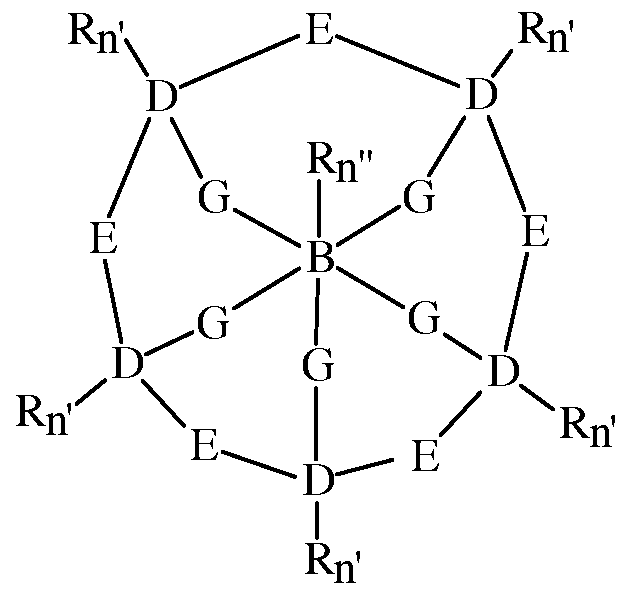 In another aspect of the invention G is -CH2-, R1 is H and each R2 is independently selected from n-butyl, n-pentyl, n-hexyl, benzyl, 2-methylbenzyl, 3-methylbenzyl, and 4- methylbenzyl. Preferably, the composition comprise from Owt% to 10wt% zeolite builder, preferably to 8wt%,or to 6wt%, or to 4wt%, or even to 2wt% zeolite builder. The composition may even be substantially free of zeolite builder, substantially free means "no deliberately added". Typical zeolite builders are zeolite A, zeolite P and zeolite MAP. Preferably, the composition comprise from Owt% to 10wt% phosphate builder, preferably to 8wt%,or to 6wt%, or to 4wt%, or even to 2wt% phosphate builder. The composition may even be substantially free of phosphate builder, substantially free means "no deliberately added". A typical phosphate builder is sodium tri -polyphosphate. The composition may comprise from Owt% to 10wt% silicate salt, preferably to 8wt%,or to 6wt%, or to 4wt%, or even to 2wt% silicate salt. The composition may even be substantially free of silicate salt, substantially free means "no deliberately added". Typical silicate salts are sodium silicate, such as 1.6R sodium silicate and/or 2.0R sodium silicate. The composition preferably comprises detersive surfactant, preferably from 10wt% to 40wt%, preferably from 12wt%, or from 15wt%, or even from 18wt% detersive surfactant. However, it may also be preferred for the composition to comprise very low levels of ionic surfactant. Preferably, the weight ratio of non-ionic detersive surfactant to ionic detersive surfactant is at least 0.5: 1, preferably at least 0.6: 1, or at least 0.7:1, or at least 0.8:1, or at least 0.9:1, or at least 1:1, or at least 1.5:1, or at least 2.0:1, or at least 2.5:1, or at least 3.0:1, or at least 3.5:1, or at least 4:1, or at least 5:1, or at least 10:1, or even at least 20:1. Preferably, the surfactant comprises alkyl benzene sulphonate and one or more detersive co- surfactants. The surfactant preferably comprises C10-C13 alkyl benzene sulphonate and one or more co-surfactants. The co-surfactants preferably are selected from the group consisting of Ci2-Ci8 alkyl ethoxylated alcohols, preferably having an average degree of ethoxylation of from 1 to 7; Ci2-Ci8 alkyl ethoxylated sulphates, preferably having an average degree of ethoxylation of from 1 to 5; and mixtures thereof. However, other surfactant systems may be suitable for use in the present invention. Suitable detersive surfactants include anionic detersive surfactants, nonionic detersive surfactants, cationic detersive surfactants, zwitterionic detersive surfactants, amphoteric detersive surfactants and mixtures thereof. modified alkylbenzene sulphonate (MLAS) as described in more detail in WO 99/05243, WO 99/05242, WO 99/05244, WO 99/05082, WO 99/05084, WO 99/05241, WO 99/07656, WO 00/23549, and WO 00/23548; methyl ester sulphonate (MES); alpha-olefin sulphonate (AOS) and mixtures thereof. Preferred anionic detersive surfactants include: linear or branched, substituted or unsubstituted alkyl benzene sulphonate detersive surfactants, preferably linear C8-Ci8 alkyl benzene sulphonate detersive surfactants; linear or branched, substituted or unsubstituted alkyl benzene sulphate detersive surfactants; linear or branched, substituted or unsubstituted alkyl sulphate detersive surfactants, including linear C8-Ci8 alkyl sulphate detersive surfactants, Ci-C3 alkyl branched C8-Ci8 alkyl sulphate detersive surfactants, linear or branched alkoxylated C8-Ci8 alkyl sulphate detersive surfactants and mixtures thereof; linear or branched, substituted or unsubstituted alkyl sulphonate detersive surfactants; and mixtures thereof. unsubstituted C8-I8 alkyl ethoxylated sulphate having an average degree of ethoxylation of from 3 to 7. Preferred anionic detersive surfactants are selected from the group consisting of: linear or branched, substituted or unsubstituted, Ci2-I8 alkyl sulphates; linear or branched, substituted or unsubstituted, Cio-13 alkylbenzene sulphonates, preferably linear Cio-13 alkylbenzene sulphonates; and mixtures thereof. Highly preferred are linear Cio-13 alkylbenzene sulphonates. Highly preferred are linear Cio-13 alkylbenzene sulphonates that are obtainable, preferably obtained, by sulphonating commercially available linear alkyl benzenes (LAB); suitable LAB include low 2- phenyl LAB, such as those supplied by Sasol under the tradename Isochem® or those supplied by Petresa under the tradename Petrelab®, other suitable LAB include high 2-phenyl LAB, such as those supplied by Sasol under the tradename Hyblene®. A suitable anionic detersive surfactant is alkyl benzene sulphonate that is obtained by DETAL catalyzed process, although other synthesis routes, such as HF, may also be suitable. 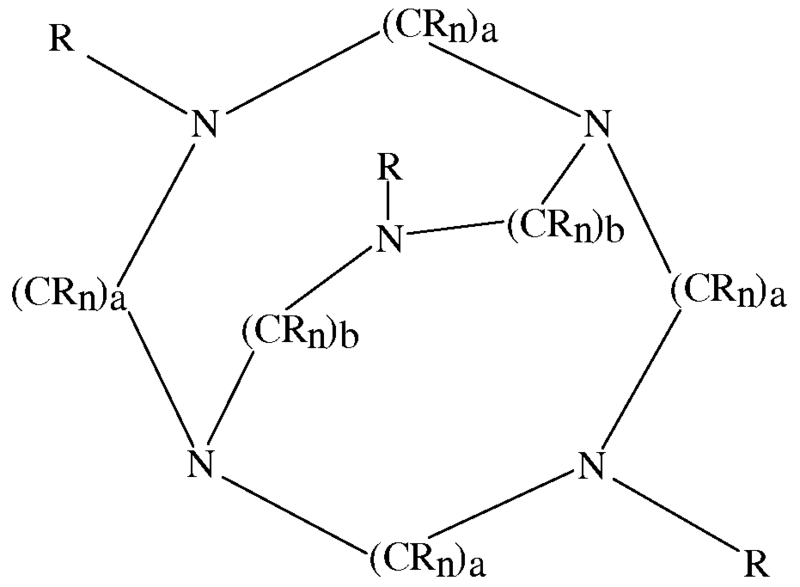 (R)(Ri)(R2)(R3)N+ X wherein, R is a linear or branched, substituted or unsubstituted C6-I8 alkyl or alkenyl moiety, Ri and R2 are independently selected from methyl or ethyl moieties, R3 is a hydroxyl, hydroxymethyl or a hydroxyethyl moiety, X is an anion which provides charge neutrality, preferred anions include halides (such as chloride), sulphate and sulphonate. Preferred cationic detersive surfactants are mono-Cό-is alkyl mono-hydroxyethyl di-methyl quaternary ammonium chlorides. Highly preferred cationic detersive surfactants are mono-Cg-io alkyl mono- hydroxyethyl di-methyl quaternary ammonium chloride, mono-Cio-i2 alkyl mono-hydroxyethyl di-methyl quaternary ammonium chloride and mono-Cio alkyl mono-hydroxyethyl di-methyl quaternary ammonium chloride. Suitable non-ionic detersive surfactant can be selected from the group consisting of: C$- Ci8 alkyl ethoxylates, such as, NEODOL® non-ionic surfactants from Shell; C6-Ci2 alkyl phenol alkoxylates wherein the alkoxylate units are ethyleneoxy units, propyleneoxy units or a mixture thereof; Ci2-Ci8 alcohol and C6-Ci2 alkyl phenol condensates with ethylene oxide/propylene oxide block polymers such as Pluronic® from BASF; Ci4-C22 mid-chain branched alcohols, BA, as described in more detail in US 6,150,322; C14-C22 mid-chain branched alkyl alkoxylates, BAEx, wherein x = from 1 to 30, as described in more detail in US 6,153,577, US 6,020,303 and US 6,093,856; alky lpoly saccharides as described in more detail in US 4,565,647, specifically alkylpolyglycosides as described in more detail in US 4,483,780 and US 4,483,779; polyhydroxy fatty acid amides as described in more detail in US 5,332,528, WO 92/06162, WO 93/19146, WO 93/19038, and WO 94/09099; ether capped poly(oxyalkylated) alcohol surfactants as described in more detail in US 6,482,994 and WO 01/42408; and mixtures thereof. The non-ionic detersive surfactant could be an alkyl polyglucoside and/or an alkyl alkoxylated alcohol. Preferably the non-ionic detersive surfactant is a linear or branched, substituted or unsubstituted C8-I8 alkyl ethoxylated alcohol having an average degree of ethoxylation of from 1 to 10, more preferably from 3 to 7. The composition preferably comprises polymeric carboxylate. It may be preferred for the composition to comprise at least 5wt% or at least 6wt%, or at least 7wt%, or at least 8wt%, or even at least 9wt%, by weight of the composition, of polymeric carboxylate. The polymeric carboxylate can sequester free calcium ions in the wash liquor. The carboxylate polymers can also act as soil dispersants and can provide an improved particulate stain removal cleaning benefit. Preferred polymeric carboxylates include: polyacrylates, preferably having a weight average molecular weight of from 1,000Da to 20,000Da; co-polymers of maleic acid and acrylic acid, preferably having a molar ratio of maleic acid monomers to acrylic acid monomers of from 1 : 1 to 1 : 10 and a weight average molecular weight of from 10,000Da to 200,000Da, or preferably having a molar ratio of maleic acid monomers to acrylic acid monomers of from 0.3:1 to 3: 1 and a weight average molecular weight of from 1 ,000Da to 50,000Da. Preferably, the composition comprises an enzyme stabilization means. Suitable enzyme stabilization means are described in more detail below. As used herein, "mass efficient reversible protease inhibitors" are protease inhibitors that have a Ki of from about O.OOOOlmM to about 1OmM, from about 0.0001 mM to about 5mM, from about 0.005 mM to about 2mM, or even from about 0.001 mM to about 0.5mM. encapsulated proteases are in the form of enzyme granulates/prills, said encapsulated proteases typically have particle size of from about 200 microns to about 1000 microns. When said encapsulated proteases are in the form of enzyme microcapsules, said microcapsules typically have a particle size of from about 100 microns to about 0.05 microns, from about 80 microns to about 0.05 microns, or even from about 50 microns to about 0.05 microns. dichlorophenyl boronic acid, 4-methoxyphenyl boronic acid and mixtures thereof. Further suitable boronic acid derivatives suitable as stabilizers are described in USP 4,963,655, USP 5,159,060, WO 95/12655, WO 95/29223, WO 92/19707, WO 94/04653, WO 94/04654, USP 5,442,100, USP 5,488,157 and USP 5,472,628. In one aspect, the mass efficient reversible protease inhibitor may comprise 4-formyl phenyl boronic acid. In one aspect, the mass efficient reversible protease inhibitor comprises a reversible peptide protease inhibitor. Examples of suitable reversible peptide protease inhibitors and processes for making same may be found in USP 6,165,966 and WO 98/13459 Al. In a further aspect, suitable mass efficient reversible inhibitors can be chosen from those disclosed in EP 0558635 Bl and EP 0558648 Bl. In one aspect, the mass efficient reversible inhibitor may be a hydroxamate derivative, such as galardin, or phosphoramidon or bacitracin zinc. In one aspect the mass efficient reversible inhibitor may be galardin. Commercial sources for such compounds include Sigma Aldrich (Milwaukee, WI, USA) and Calbiochem (San Diego, CA, USA). The mono and dipeptide derivatives disclosed herein may be synthesised by the method described in Nishino, Norikazu; Powers, James C. , Biochemistry (1978), 17(14), 2846-50. In one aspect, the compositions of the present invention comprise, based on composition weight, from about 0.0001% to about 4%, or from about 0.0002% to about 2%, or from about 0.002% to about 1%, or even from about 0.005% to about 0.5% mass efficient reversible protease inhibitor. In one aspect, the 4-formyl phenyl boronic acid and the protease enzyme may be present in the compositions of the present invention at a molar ratio of from about 10: 1 to about 500: 1 , or even from about 30:1 to about 200:1. In one aspect, in compositions of the present invention, the molar ratio of the reversible peptide protease inhibitor to protease enzyme may be from about 1:1 to about 20:1, or even from about 1:1 to about 10:1. Without wishing to be bound by theory, it is believed that an effective mass efficient reversible protease inhibitor needs to bind tightly to the protease within the formulation, but not so tightly that upon dilution in the wash the protease is not effectively released. reaction of acid chlorides with compounds containing at least two amine groups and polycondensation reaction of formaldehyde with melamine. Examples of such methods are disclosed in USP 4,906,396, USP 6,221,829, USP 6,359,031, US 6,242,405 and WO 07/100501 A2. (iii) polyectrolyte precipitation, including capsules formed by reaction of chitosan and alginate or using biopolymer gels such as gellan. Examples of such methods are disclosed in EP 1,502,645 Al. In one aspect the encapsulated protease may comprise at least 0.5%, or at least 1%, or at least 2%, or at least 5%, or at least 10%, or even at least 20% by weight active protease enzyme. In one aspect, encapsulated proteases may comprise from about 5% to about 90% active protease by weight. Encapsulated proteases may be incorporated into the compositions of the present invention, based on total composition weight, at a level of from 0.001% to about 30%, or from about 0.005% to about 25%, or from about 0.05% to about 10% or even from about 0.01% to about 2%. When said encapsulated proteases are in the form of enzyme microcapsules, said microcapsules typically have a particle size of from about 100 microns to about 0.05 microns, from about 80 microns to about 0.05 microns, or even from about 50 microns to about 0.05 microns. Thus, in one aspect, such microcapsules are sized such that they are not typically visible to a consumer when such microcapsules are incorporated into a cleaning composition. In one aspect, the encapsulated protease releases at least 80% of its protease load within 10 minutes, within 5 minutes, or even within 2 minutes upon dilution in the wash. In one aspect, these release rates are achievable at ambient temperatures under a 100 fold dilution at 20 0C with stirring at 150 rpm. Protease activity can be determined by any standard method such as use of protease analysis kits available from Sigma Aldrich, Milwaukee, Wisconsin, USA or ASTM method D0348-89 (2003). Without wishing to be bound by theory, it is believed that a better cleaning profile is obtained as the time that the enzymes have to interact with the soil is increased. hydroxpropylmethylcellulose and/or polyvinylalcohol and derivatives thereof. tetraacetylethylenediamine (TAED) activators are typical, and mixtures thereof can also be used. See also U.S. 4,634,551 for other typical bleaches and activators useful herein. Another suitable bleach activator is decanoyloxybenzenecarboxylic acid (DOBA). R1N(RS)C(O)R2C(O)L or R1C(O)N(RS)R2C(O)L wherein as used for these compounds R1 is an alkyl group containing from about 6 to about 12 carbon atoms, R2 is an alkylene containing from 1 to about 6 carbon atoms, RS is H or alkyl, aryl, or alkaryl containing from about 1 to about 10 carbon atoms, and L is any suitable leaving group. A leaving group is any group that is displaced from the bleach activator as a consequence of the nucleophilic attack on the bleach activator by the hydroperoxide anion. A preferred leaving group is oxybenzenesulfonate. Preferred examples of bleach activators of the above formulae include (6-octanamido- caproyl)oxybenzenesulfonate, (6-nonanamidocaproyl)oxybenzenesulfonate, (6-decanamido- caproyl)oxybenzenesulfonate, and mixtures thereof as described in U.S. Patent 4,634,551, incorporated herein by reference. caprolactams, including benzoyl caprolactam, adsorbed into sodium perborate. Highly preferred bleach activators are nonanoyloxybenzene sulfonate (NOBS) and/or tetraacetylethylenediamine (TAED) . It is highly preferred for a large amount of bleach activator relative to the source of hydrogen peroxide to be present in the laundry detergent composition. Preferably, the weight ratio of bleach activator to source of hydrogen peroxide present in the laundry detergent composition is at least 0.5:1, at least 0.6:1, at least 0.7:1, 0.8:1, preferably at least 0.9:1, or 1.0:1.0, or even 1.2:1 or higher. The composition may comprise a chelant. Suitable chelants include diethylene triamine pentaacetate, diethylene triamine penta(methyl phosphonic acid), ethylene diamine-N'N'- disuccinic acid, ethylene diamine tetraacetate, ethylene diamine tetra(methylene phosphonic acid) and hydroxyethane di(methylene phosphonic acid). A preferred chelant is ethylene diamine-N'N'-disuccinic acid (EDDS) and/or hydroxyethane diphosphonic acid (HEDP). Preferably the ethylene diamine-N'N'-disuccinic acid is in S'S' enantiomeric form. Obtain a 1Og sample accurately weighed to two decimal places, of fully formulated detergent composition. The sample should be obtained using a Pascall sampler in a dust cabinet. Add the 1Og sample to a plastic beaker and add 200 ml of carbon dioxide-free de-ionised water. Agitate using a magnetic stirrer on a stirring plate at 150 rpm until fully dissolved and for at least 15 minutes. Transfer the contents of the beaker to a 1 litre volumetric flask and make up to 1 litre with deionised water. Mix well and take a 100 mis ± 1 ml aliquot using a 100 mis pipette immediately. Measure and record the pH and temperature of the sample using a pH meter capable of reading to +0.0IpH units, with stirring, ensuring temperature is 21°C +/- 2°C. Titrate whilst stirring with 0.2M hydrochloric acid until pH measures exactly 7.5. Note the millilitres of hydrochloric acid used. Take the average titre of three identical repeats. Carry out the calculation described above to calculate the reserve alkalinity to pH 7.5. For the purpose of the present invention, when calculating the reduction in activation energy achieved by a catalyst, the uncatalysed reaction is considered to have an activation energy of 5OkJmOl"1. The assays used to determine the rate of reaction and associated activation energies are all conducted under high excess of substrate. For enzyme catalysts under such conditions, the kinetics of production of the digested products is approximately first order. For non-enzyme catalysts the assays must also be carried out under conditions that have first order kinetics. All assays should be conducted over a period of time t such that the kinetics remain first order (i.e. such that concentration of product is low (and always less than 10% of theoretical maximum) and first order kinetics are obeyed). The rate constant k can therefore be calculated by plotting a graph of In c against t, wherein c is the concentration of products produced and t is the time in seconds. These graphs are linear and the gradients of the graphs are the rate constants k whose units are s"1. A series of such graphs are plotted to determine the rate constants at various temperatures under which the enzyme assays are conducted. These systems follow Arrhenius behaviour (i.e. k = A e"Ea/RT), so a plot of In k versus 1/T gives a straight line whose gradient is -Ea/R, where Ea is the activation energy in Jmol"1, A is the pre-exponential factor, T is the temperature in Kelvin and R is the universal gas constant which, for the purpose of the present invention, is 8.314 JmOl 1K"1.
tris(hydroxymethyl) aminomethane (e.g. sold under tradename Trizma™) in one litre of water, adjusted to pH with concentrated HCl and/or NaOH) and monitor product formation through time. Most enzyme assays are done colorimetrically such that product formation can be monitored spectrophotometrically. In all cases care must be taken to ensure that the absorbance is less than 2 absorbance units such that the absorbance measurement is directly proportional to the concentration of coloured product being formed. The assay is conducted at a series of temperatures at which the enzyme displays suitable activity but is not denatured and in the presence of a high excess of substrate. For non-enzyme catalysts, a similar procedure to that described above may also be used. For example, a l%w/v detergent composition in a solution is reacted with a suitable colorimetric substrate under conditions of first order kinetics, and for at least three different temperatures. For imine bleach catalysts, a suitable colorimetric substrate is CI reactive blue 49 dye (e.g. CAS 12236-92-9). For transition metal catalysts a suitable colorimetric substrate is beta-Apo-8- carotenal (otherwise known as canthaxanthin). 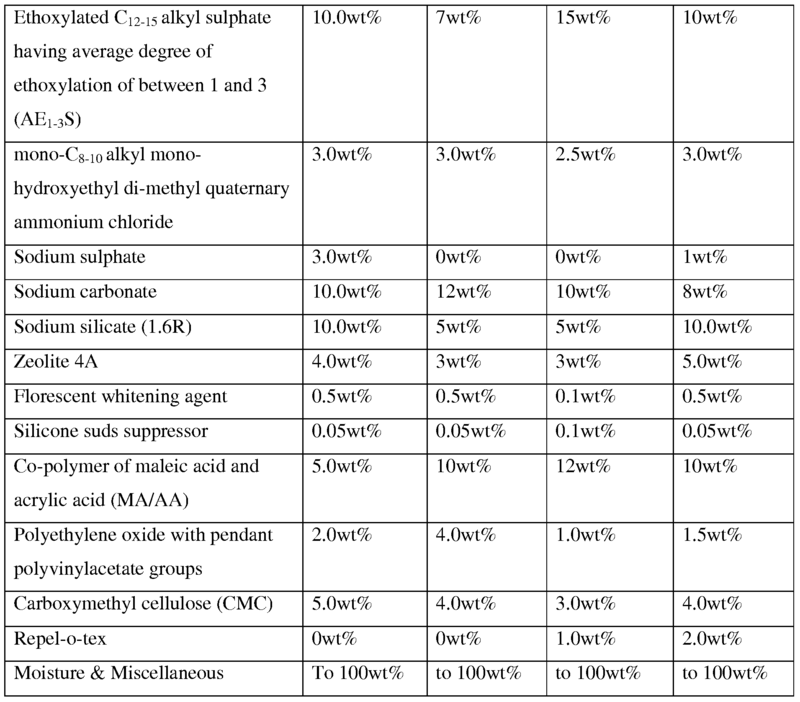 Suitable assays for some of the catalysts are described in more detail below. In the assays below, any percentage concentration value is considered to be %w/v, unless otherwise indicated. The activity of lipase is assayed by measuring the hydrolyis rate of para-nitrophenol palmitate (PNP-palmitate). The lipase cleaves the ester bond releasing the coloured species (paranitrophenol) which can be measured by absorbance at 405nm. A one litre TRIS buffer solution is first made by dissolution of 12. Ig of Trizma™ base, 2.7Og of sodium deoxycholate and 5.Og alpha olephin sulphonate (e.g. Bio Terge AS-90 Beads, lot#24242404) in a litre of water and adjusting pH to 8.3 by addition of concentrated HCl. A PNP-palmitate solution is then made by dissolving 0.15g of PNP-palmitate in 50ml of ethanol. 2ml of the PNP-palmitate solution is then dissolved in 48ml of a TRIS buffer solution to provide 50 mis of the PNP-palmitate substrate working solution. An enzyme stabilizing solution is made up by dissolving 1Og of sodium thiosulphate and 0.5g of CaCl2.2H2O in 1 liter of water. 1Og of the detergent product are dissolved in this solution to make one litre of solution (a 1% detergent solution). approximately first order. A plot of In c (where c is the concentration of products formed) versus t (time in seconds) is approximately linear. The above assay is conducted at three different temperatures (200C, 25°C and 300C) and in that way a rate constant k (whose units are s"1) is assayed at each temperature. A linear graph is then plotted of In k against -1000/RT whose gradient is equal to the activation energy in kJmol"1. 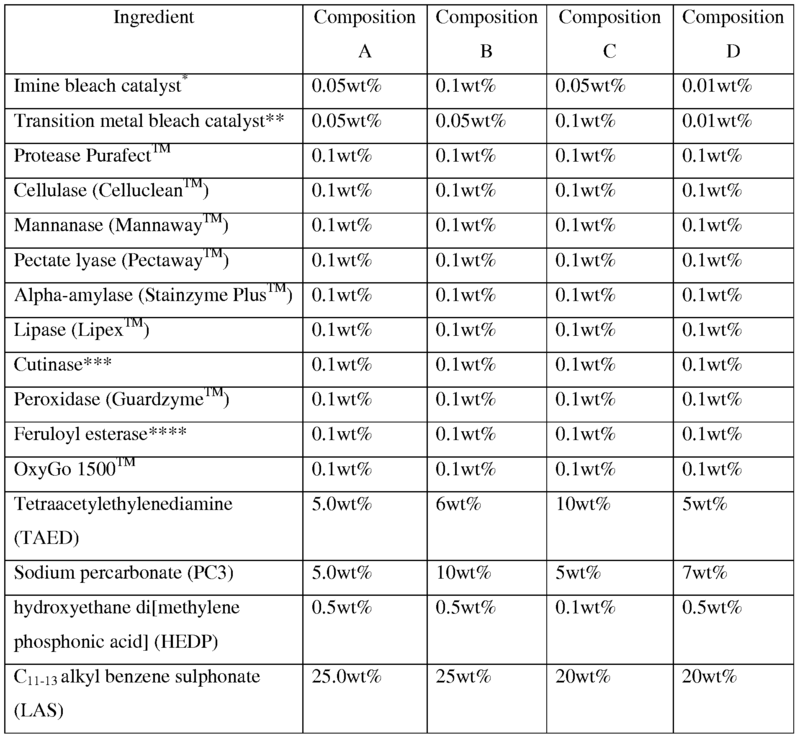 The activity of the protease is assayed using standard analytical methods. The substrate used to measure the protease activity for subtilisins is a four amino acid peptide containing a terminal p-nitroanilide group as a chromophore. This material is called N-Succinyl- ALA- ALA- PRO-PHE p-nitroanilide (PNA). A solution of protease is introduced to the PNA substrate in solution. The enzyme cleaves bonds between amino acids and most importantly the amide bond between the phenolalanine and the p-nitroanilide group liberating p-nitroaniline, thus producing a yellow color. The intensity of the color (405 nm) is proportional to the amount of enzyme in the solution. A one litre TRIS buffer solution is first made by dissolution of 12. Ig of Trizma™ base, l.lg of CaCl2.2H2θ and 5.Og of sodium thiosulphate in a litre of water and adjusting pH to 8.3 by addition of concentrated HCl and/or NaOH. A PNA solution is then made by dissolving 0.5g of N-Succinyl- ALA-ALA-PRO-PHE p-nitroanilide (PNA) in 5ml of DMSO. 0.5ml of the PNA solution is then dissolved in 50ml of a TRIS buffer solution to provide the PNA substrate working solution. An enzyme stabilizing solution is made up by dissolving 1Og of sodium thiosulphate and 0.5g of CaCl2.2H2O in 1 liter of water. 1Og of the detergent product are dissolved in this solution to make one litre of solution (a l%w/v detergent solution). 7μl of the l%w/v detergent solution and 245μl of the PNA substrate working solution are mixed and incubated at the chosen temperature (e.g. 300C, 37°C and 500C, respectively). At a given time t, the absorbance is read at 405 nm. A plot of In c (where c is the concentration of products formed) versus t (time in seconds) is linear. The above assay is conducted at three different temperatures (300C, 37°C and 500C) and at least three time points such that a rate constant k (whose units are s"1) is assayed at each temperature. A graph is then plotted of In k against -1000/RT whose gradient is equal to the activation energy in kJmol"1. Amylase activity is measured using a maltoheptaoside modified with a p-Nitrophenol chromophore (Infinity Amylase Reagent from Thermo Electron, Woburn, MA, USA, Cat #: TR25421). Release of the chromophore is initiated via amylase action. Amylase activity is measured initially in AMU' s. 1 AMU (amylase unit) is the amount of enzyme which hydrolyzes PNP-G7 (p-nitrophenyl-alpha,D-maltoheptaoside) carbohydrate substrate such that the initial rate of formation of small carbohydrates (G2-4) per minute corresponds to 1 μmole of 4-Nitrophenol per minute. A one litre TRIS buffer solution is first made by dissolution of 12. Ig of Trizma™ base, 2.7Og of sodium deoxycholate and 5.0g alpha olephin sulphonate (e.g. Bio Terge AS-90 Beads, lot#24242404) in a litre of water and adjusting pH to 8.3 by addition of concentrated HCl and/or NaOH. A PNP-palmitate solution is then made by dissolving 0.15g of PNP-palmitate in 50ml of ethanol. 2ml of the PNP-palmitate solution is then dissolved in 48ml of a TRIS buffer solution to provide 50 mis of the PNP-palmitate substrate working solution. 30μl of l%w/v detergent solution is added to 230μl of Infinity amylase reagent. The samples are mixed and incubated at a series of temperatures and activity monitored through time. The absorbance is read at 405 nm and this is proportional to the concentration of reaction products formed. A plot of In c (where c is the concentration of products formed) versus t (time in seconds) is linear. The above assay is conducted at three different temperatures (200C, 300C and 37°C) and at least three time points such that a rate constant k (whose units are s"1) is assayed at each temperature. A suitable colourmetric substrate for determining xyloglucanase activity is AZCL- xyloglucan from Megazyme, Ireland. Enzyme activity is determined at three different temperatures using suitable time periods and the activation energy is determined using the above described calculation. A suitable colourmetric substrate for determining cellulase activity is Cellazyme C tablets, supplied by Megazyme International Ireland. Enzyme activity is determined at three different temperatures using suitable time periods and the activation energy is determined using the above described calculation. The activity and activation energy of glucose oxidase-catalysed oxidation of D-glucose with concomitant formation of hydrogen peroxide can be determined using the methods described in Zia M. A et al., Thermal characterization of purified glucose oxidase from a newly isolated Aspergillus niger UAF-I, (2007) Journal of Clinical Biochemistry and Nutrition, 41 (2), pp. 132-138. Similar procedures can be used for the other oxidoreductases. The following is repeated at four different temperatures: e.g. 200C, 25°C, 35°C and 45°C. 8g of detergent composition is dissolved in 800ml of deionised water. A 100ml aliquot is filtered through a GFC filter, Whatman™. 80mls of this solution is added to a titration vessel sitting on a hotplate stirrer set at the desired temperature. 2.5 mis of a 733ppm Reactive Blue 49 dye solution is added and the titrator method is initiated. A Mettler titrator (model DL55) fitted with a DP5 phototrode set at 590nm adjusts the optical density of the solution to give a constant phototrode output of 50OmV over a 5 minute period. The titre result in micromoles of reactive blue solution consumed per second is recorded. Repeat the above at each temperature. Then plot In k vs 1/T (in Kelvin) to obtain a graph the slope of which is the -activation energy/R (R = universal gas constant). * Imine bleach catalyst is sulphuric acid mono-[2-(3,4-dihydro-isoquinolin-2-yl)-l-(2-butyl- octyloxymethyl)-ethyl] ester, internal salt. Fl 80P & S205G mutations as described in WO 03/076580. **** Feruloyl esterase is Depol 740LTM supplied from Biocatalysts, UK. 1. A solid laundry detergent composition comprising multiple catalysts, wherein the ratio of (i) the total reduction in activation energy in kilojoules per mole achieved by the catalysts to (ii) the electrolytic strength of the laundry detergent composition at a concentration of lg/1 in de-ionized water and at a temperature of 25°C in mScm"1 is at least 300. 2. A laundry detergent composition according to claiml , wherein the ratio of (i) the total reduction in activation energy in kilojoules per mole achieved by the catalysts to (ii) the electrolytic strength of the laundry detergent in mScm-1 is at least 1000. 3. A laundry detergent composition according to any preceding claim, wherein the catalyst reduces the activation energy by a total of at least lόOkjmol"1. (c) optionally from 0wt% to 10wt% silicate salt. 5. A laundry detergent composition according to any preceding claim, wherein the composition comprises at least seven catalysts. 6. A laundry detergent composition according to any preceding claim, wherein the composition comprises at least eight catalysts. 7. A laundry detergent composition according to any preceding claim, wherein the composition is in free-flowing particulate form. oxidoreductases, dehydrogenases, xyloglucanases, amylases, cellulases, transitional metal bleach catalyst, and imine bleach catalyst. 10. A laundry detergent composition according to any preceding claim, wherein the composition comprises from 0wt% to 10wt% sodium carbonate. 11. A laundry detergent composition according to any preceding claim, wherein the composition has a reserve alkalinity of less than 5.0. 12. A composition according to any preceding claim, wherein the composition comprises less than 40wt% reducing sugar. wherein 30g or less of the laundry detergent is added to the water. MX2012000480A MX2012000480A (en) 2009-07-09 2010-07-06 A catalytic laundry detergent composition comprising relatively low levels of water-soluble electrolyte. ES2255992T3 (en) 2006-07-16 Bleaching compositions stabilized.